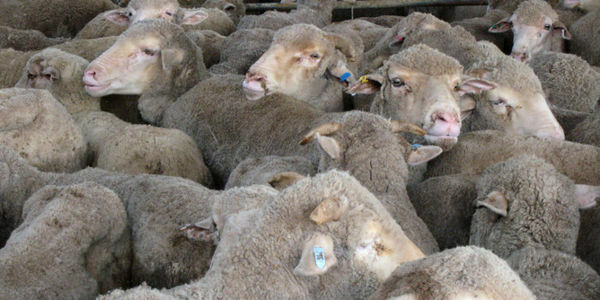 petition: Stand against live export this election. Time is running out for Aussie animals. Australia exports around three million live animals every year over long distances, in conditions which result in suffering. Thousands die in transit and many of those that survive the journey are handled roughly at their destination and are killed while fully conscious. Too many suffer outright brutality. As a federal election is upon us, World Animal Protection is calling on the next Prime Minister to make animal welfare a priority by phasing out live animal exports. Remember, MPs want your vote. So, now is your best chance ever to make a difference. The future of Australian animals is in your hands. Will you add your voice to our open letter to the next Prime Minister? By signing, your name will be included in the newspaper ad alongside others demanding change. I stand with my fellow Australians and World Animal Protection in my opposition to the live animal export trade. Australia exports millions of live animals every year. Countless exposes, investigations and reports by whistle blowers have brought to light incidents of death and cruelty on board live export ships, at ports of disembarkment and in destination countries. Time and again, Australians have seen animals suffer brutal conditions and agonising deaths as a result of the live export trade. This cruelty occurs under the full control of the Australian Government and live export companies. Australians have had enough. It's time to end live animal exports. Right now! We're calling on the new government to move from live export to the chilled and frozen meat trade, which would protect millions of animals from needless suffering. Australian animals deserve better and we, the majority who care about animals, demand better.